Please send a gift to help provide lifesaving clean water to those in desperate need. Clean drinking water is essential for life. 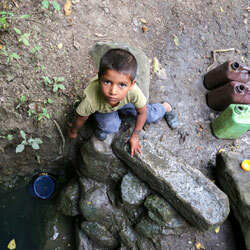 In developing countries, the lack of access to clean drinking water often results in serious illnesses and death. Your gift will help provide lifesaving water to drill wells, build sanitation facilities, and Provide water purification systems.